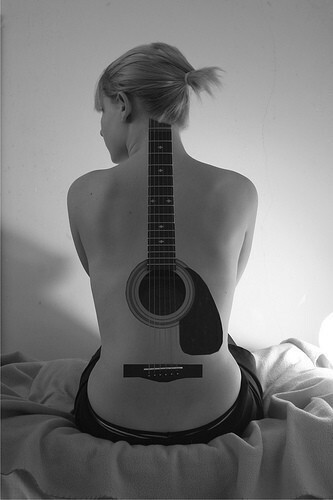 Epic chitarra Tattoo. . Wallpaper and background images in the Musica club tagged: music epic guitar tattoo person girl pretty. This Musica photo contains chitarra acustica. That looks awful! :( and I bet it was painful! I would totally get that.